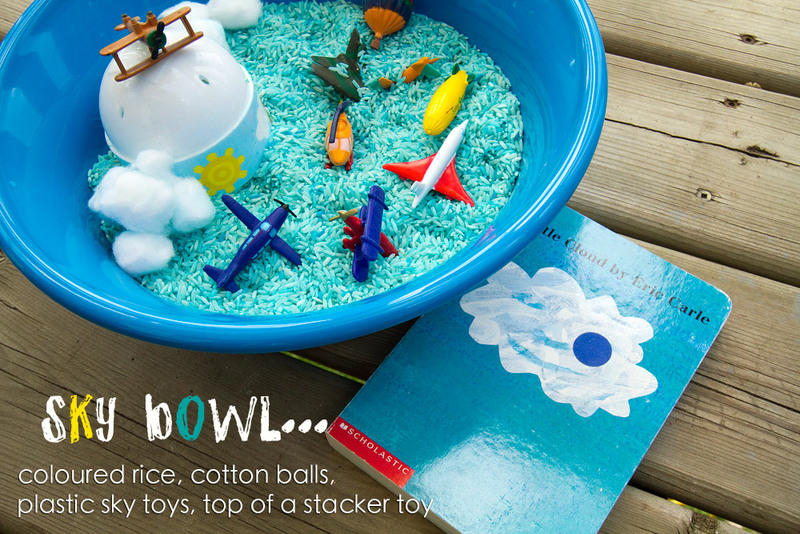 And so the Imagination Bowl was born. 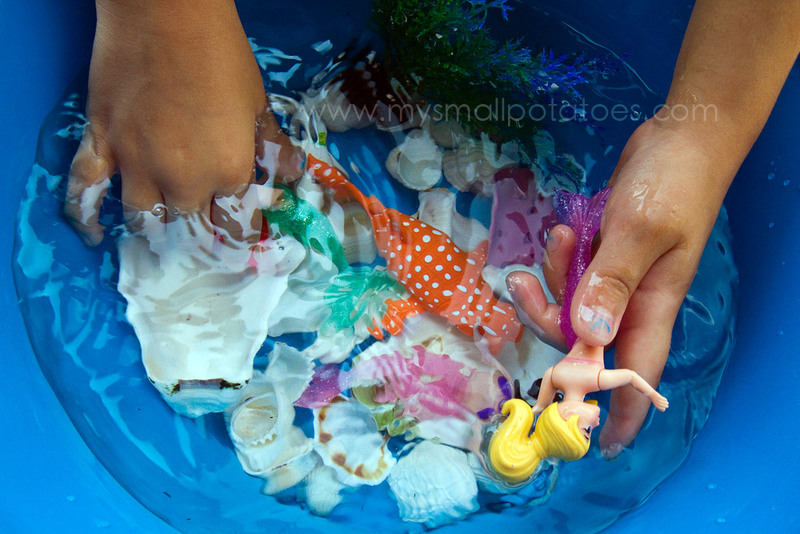 They are small, inexpensive, and easily tailored to ages, interests and skill levels. Today we learning about things on the earth and things in the sky. 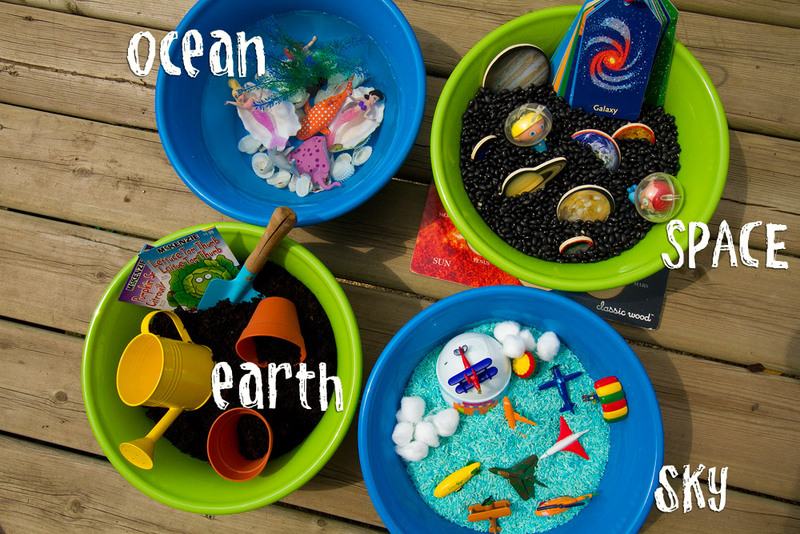 With these bowls, I was able to create an activity for each child that represented something from today’s discussion! 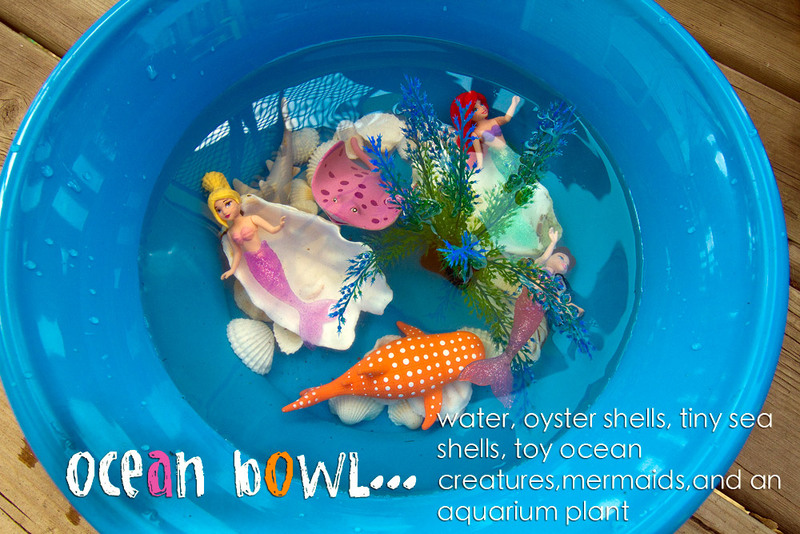 The bowls cost me a dollar each at Wal-Mart, and the rest of the resources were pulled from our toy bins. The rice and the beans are kept in ice cream buckets in my storage room and we re-use them for all kinds of different projects. 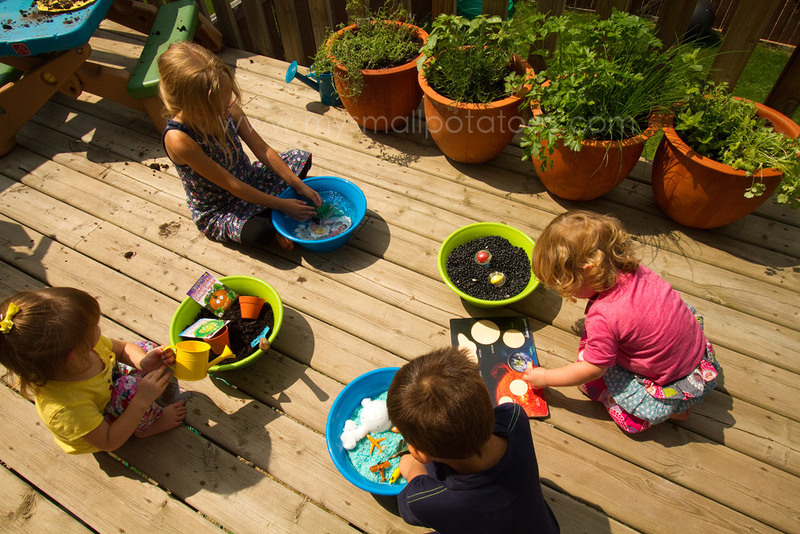 Here are each of the bowls in detail… It is designed so that the children can fill the pots with dirt, add seeds (the packets are full of pumpkin seeds and beans), and water their “plants”. 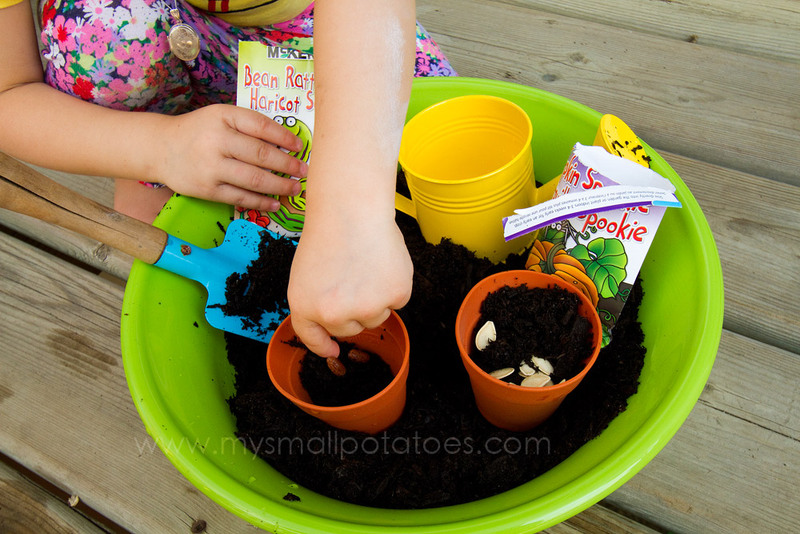 When they were finished, I put the seeds back in the packages to be played with again later. 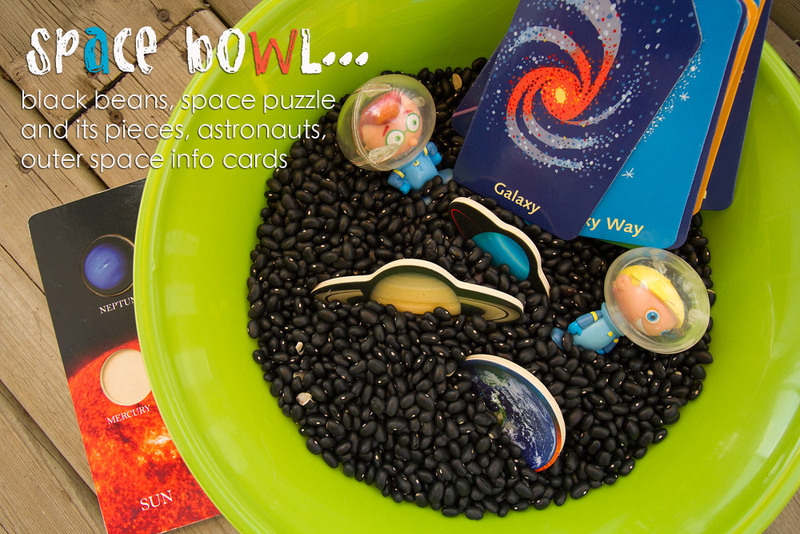 The space bowl has puzzle pieces buried in the beans for the children to fish out and place in the correct place on the puzzle. 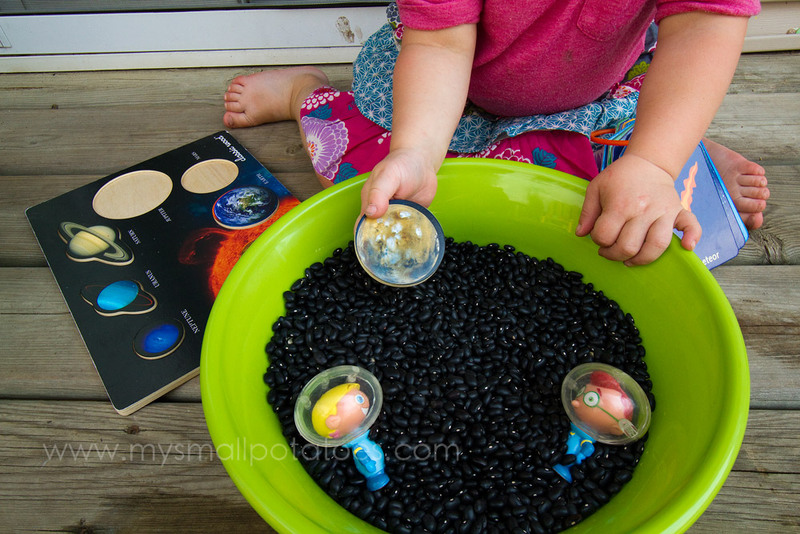 This was fun for the toddlers…they love the bury their arms deep in the beans, searching for the pieces! This one was played with for hours after the earth and sky discussion was over. Oh, the imaginative and dramatic stories that went on between those 3 mermaids!! This one was paired with a beloved book, Little Cloud, by Eric Carle. And yes, my copy has a rogue blue sticker on it! One of the toddlers got a little over zealous with stickers one day and I let most of the dots stay where they landed! The activity was so successful, the toddlers were an hour late for nap! They were so busy and happy, I didn’t have the heart to pull them away from their bowls. When they were finished with their particular bowl, they traded with each other and just kept on playing. And as they played, I thought of all the possibilities one could hold in a plastic mixing bowl. Oh, there are many! You just need a little imagination! Now, its Co-op time!! That means you can browse all the delightful ideas that other bloggers have already linked up, and you can link one up yourself! Link the Co-op badge on your blog somewhere, so your readers will know where to come to see all the other kid-friendly ideas. Oh, and have fun! That’s what it’s all about! What a sweet idea, Arlee! Aren’t you smart?!! Ha! Thank you, Jackie!! I have big plans for these silly bowls! I bought six! I was lured in by the pretty colours!! lol! I have nominated you for a Very Inspiring Blogger award. You create marvelous ideas with our Smalls. Love it! Oh I love these… you know what I love most? 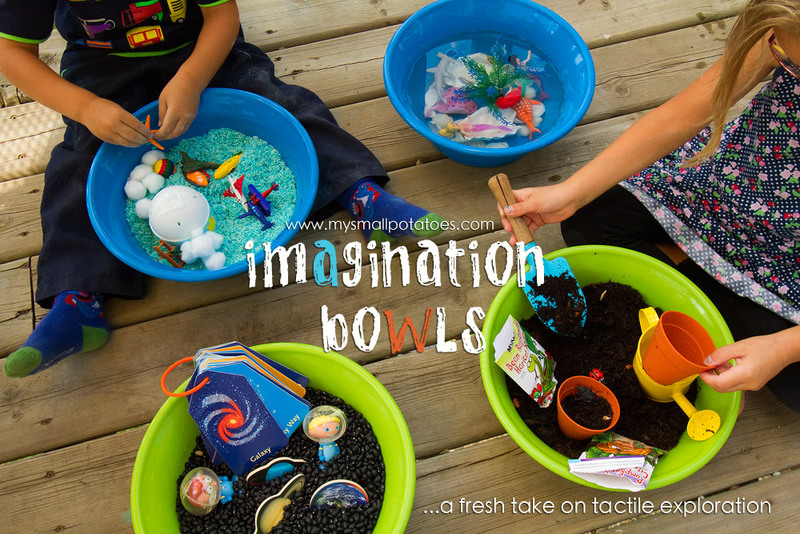 That almost everyone has a big plastic bowl in the cupboard… no more excuses that you have nothing to do sensory play in! 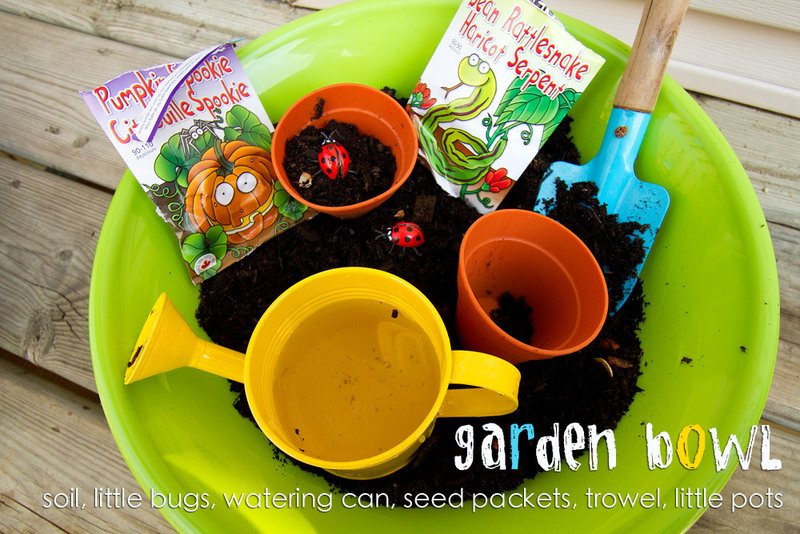 What a creative and fabulous idea! Learning is so much fun. So clever! I adore this idea. 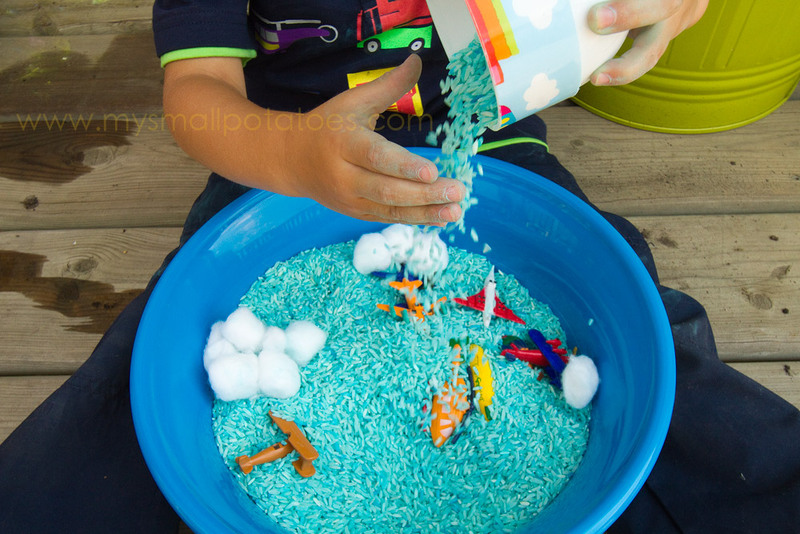 I sometimes feel overwhelmed by sensory tubs, so this may be the perfect solution for me! I have just discovered your blog and I love it and this! I use small plastic shoe boxes for solitary bin play. The bowls are so happy and colorful. I especially like the idea to hide the puzzle pieces in the bin! Awesome! Thank you for the inspiration!